The long running RDA (Recommended Daily Amount) debate re-emerged last week with the findings from a new study leading to discussion all across the world. A major international study questioned the Government’s advice that people should cut back on salt and suggests that cutting back on sodium too much actually poses health hazards. The new study tracked more than 100,000 people from 17 countries over 3 years and found that those who consumed less than 3 grams of sodium a day had a 27% higher risk of suffering from health problems such a heart attacks or stroke than those whose sodium intake was between 3 and 6 grams. 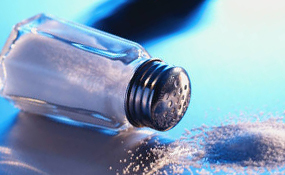 The findings, published in the New England Journal of Medicine, were the latest to challenge the benefits of extremely low salt diets and follow a report in 2013 from The Institute of Medicine in the USA, which found no evidence that cutting salt intake below 2.3 grams reduced the risk of cardiovascular disease. The study of course has its limitations, we are not denying that. But it is the largest size study on the topic and is based on people from the general population, not just those at most risk. Most importantly, it gets the salt debate back into conversation. We aim not to impose a view on salt levels but to encourage people to question the low salt strategy laid out by the Government and apply common sense in relation to their own health and their own salt intake levels. Salt is an essential nutrient that is critical to the overall functioning of every cell in the human body. Any new evidence that gives the general public the entire picture when it comes to healthy salt levels is a step in the right direction.